Vapor Tech rents and sells stripper units which help remove chemical compounds which are imbedded in liquid streams. Liquid streams with hazardous compounds such as ammonia can be fed through a stripper where through air/heat interaction the compound will rapidly be released into the vapor phase. Once in the vapor phase the compounds can be sent to a scrubber where they are properly neutralized. The liquid exiting the stripper in many cases is 90%+ free of the contaminant in the very first pass. Multiple passes may be necessary to achieve desired contaminant removal. 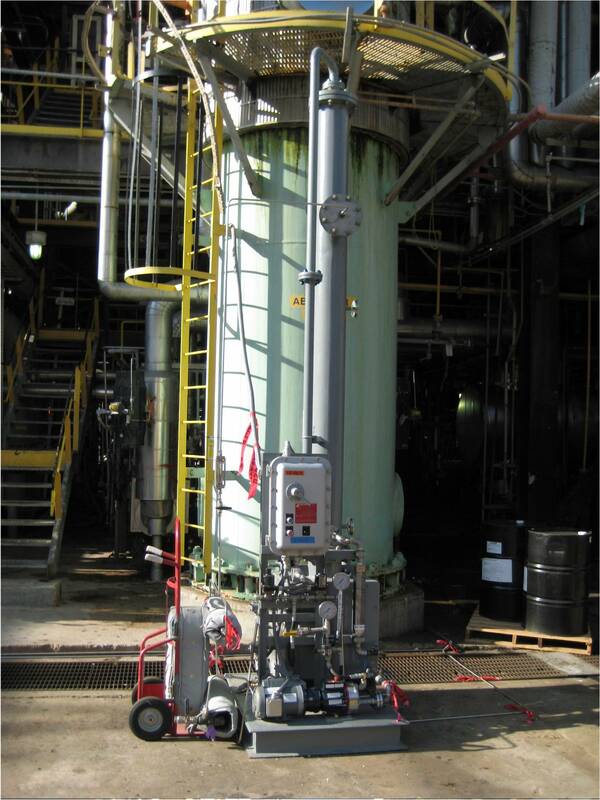 Combo packages which include the stripper and scrubber/carbon bed to remove the contaminant are available. Contact Vapor Tech for details.